Cabo San Lucas is a natural peninsular paradise filled with beautiful and pristine environments such as golden sand beaches, expansive blue waters, and lush tropical forests. When vacationing in Cabo, we recommend taking a break from the fantastic nightlife and dining options to explore all that Mother Nature has bestowed on this small peninsula at the edge of Mexico. Some of the more popular wildlife excursions are the whale and dolphin watches. The whales are particularly impressive and popular, arriving in Cabo only in the winter months, as they escape the freezing Arctic waters of the North. Typically, they will be around from December through March. Explore your whale watching options (there are many) and get out on the waters to get to know these majestic creatures firsthand. Throughout Cabo, you will find various nature preserves and exhibits. Land's End is one of the most visited spots in Cabo, with its unique arc like rock formations. Another fantastic destination for eco lovers is the Cabo Pulmo Marine Preserve with its beautiful and intricate coral reef gardens a mere 20 feet from the sand. If you are more of an earth or land lover, try out San Jose's Estuary and Bird Sanctuary that has been restored to its original glory after a series of hurricanes. 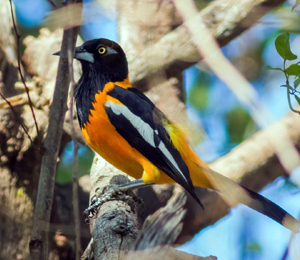 Another great bird watching location is El Estero Wildlife Park. Also make sure to check out the Arroyo San Carlos which is a beautiful canyon where you will find all types of desert species like coyotes, wild horses, and quail.